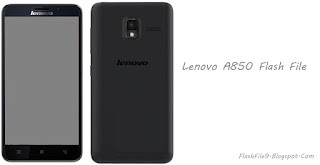 This post I will share with you Lenovo A850 flash file below on this post. I will share with you upgrade version of Lenovo firmware. we know upgrade version firmware is batter for device performance. before flash you should back up your user data like contact number, message, videos, photos etc. if you flash your phone without backup user data all data will be lost. also, make sure your smartphone battery is not empty. if your mobile phone battery is low recharge your battery before flashing. keep charge 70%up. if the phone is turn off without finish flash process device will be dead. What Type of issue will be solved after Lenovo A850 smartphone flashing? when you will turn on your smartphone only show logo on the screen. the device is the very slow response and sometimes stuck. automatic restart your phone without any region. if you open any application mobile is restart. if your mobile have any others software related issue and you can't fix that issue any others way. you have to flash your phone using the upgrade version of Lenovo flash file. click below start download button and wait until show Lenovo A850 Flash FIle.